The leader of Northumberland Labour Group, Coun Grant Davey. 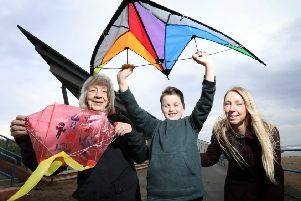 The Northumberland Labour leader has responded to the recent airing of concerns about council-owned Arch, again describing it as a ‘witch-hunt’. Coun Grant Davey, who will be standing down as the group’s leader in May, also said that he has answered questions on these matters and ‘the ratepayers have already covered the huge costs of having me interviewed on three occasions’. It followed Friday’s two-hour meeting of Northumberland County Council’s audit committee to discuss a 98-page report into arrangements at the wholly council-owned development company under the previous Labour administration. Arch has since been replaced by Advance Northumberland. This report was commissioned after the Conservatives took over at County Hall in May 2017 and completed in October that year, but has not been released until now at the request of Northumbria Police. The force has since confirmed to the council that it would not object to the report’s disclosure and have now said ‘no criminal offences have been identified’. However, having discussed a number of the issues in the report, which raised concerns around nepotism, collusion and a ‘culture of entitlement’, as jobs and perks were handed out to ‘the chaps’, the committee members still had questions. Therefore, the councillors called for another police force to look into these matters, which include – but are not limited to – the purchase of the then Arch chief executive’s house and the ‘unduly generous’ package, including a house and a car, provided to one contractor/consultant, both of which auditors said had ‘potential for criminality’. The county council’s chief internal auditor, Allison Mitchell, explained that while council auditors were asked to work on a consultancy basis at Arch, they were never given the ‘unfettered access’ that would be necessary to produce an annual opinion. “This isn’t speculation, this isn’t conjecture, there’s a factual evidence base for everything that’s discussed today,” she told the meeting. However, in a statement published on Saturday (March 23), Coun Davey said: “This witch-hunt seems to roll ever onward and the tall stories emanating from it seem to grow like Pinocchio’s nose. “It’s saddening that the head of the internal audit partnership believes that she was not able to perform her job correctly at Arch as instructed through the Deloitte report into how the council and its companies should be audited. “Couns Peter Jackson, Jeff Reid and I sat on that Arch audit committee and we should have been reported to the external auditor if problems of the nature described at committee were taking place. Neither Deloitte nor EY made a report of that nature available to me. “In response to Coun (David) Town’s magnanimous offer of being interviewed by the audit committee, I feel the public need to know that the ratepayers have already covered the huge costs of having me interviewed on three occasions by internal investigators, the council’s contracted ‘hired gun’ and a top local government legal advisor. “As far as I’m aware, all of that expensively collected and collated information was presented to the police who found no criminality in the accusations surrounding Arch. “To demand the police files are investigated again by another force shows the mentality of the current administration which thinks it is always right. That needs to be challenged by the public. “The costs entailed in contracting another police force into reopening a case are immense and they will have to be borne by the taxpayers of this county. “It appears to me that those who claim this administration is prone to bullying and spinning stories out at will may be correct in their assumptions. 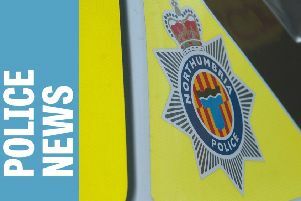 A Northumbria Police spokeswoman said on Friday (March 22): “We can confirm that Northumberland County Council contacted police with concerns relating to finance and governance at Arch. “Police have been working with the council and reviewed a large quantity of documentation that they provided continually throughout this period to establish if there were any criminal offences.